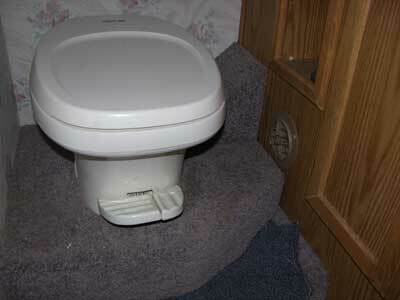 The RV Doctor: RV Toilet "Scored" And Not In A Winning Way! RV Toilet "Scored" And Not In A Winning Way! John, I’m not a big fan of plastic RV toilets for the very reason you mention. They are simply not compatible with most abrasive cleansers and bathroom brushes. I think you’ve done the best thing you can to rectify the issue though. If the car wax contained carnuba, that will help. Future cleansings should be performed with a strictly, non-abrasive cleaner and use a very soft brush. Personally I don’t have a favorite, so any non-abrasive cleaner is a potential. It may take some experimenting to find the one best suited for you. And thanks for signing up for the free monthly RV Doctor Newsletter John! Lots of good info found in there each month. Information not available elsewhere!